Blood Hymns was a ritual album recorded during the Winter Solstice and lasted the twelve nights of Yule. A journey to the most northerly midnight when the clock strikes 13. An arctic polar album based on the search for Hyperborea, Thule and the mysteries of the blood. Long forgotten ancestral awareness and the voices of the Beloved. 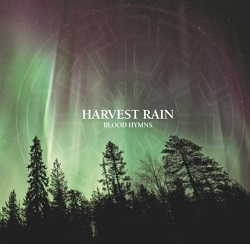 Hymns from the blood that sing of a time when Gods still talked with men. Grave of Love - enigmatic neofolk project from Silesia, Poland. Debut album entitled 'Decay' is 39 minutes of neofolk / dark ambient / noise. 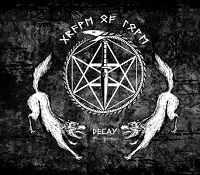 Music created by Grave of Love is perfect for fans of such bands like Death in June, :Of the Wand & the Moon:, Rome, Current 93, NON or Spiritual Front. 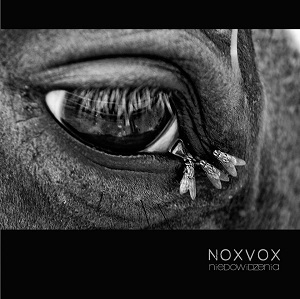 9 tracks that combine dark electronics and neoclassical minimalism with elements of folk music. The voice of the night. Stories taken from dreams, full of magic and poetic insinuations. Songs of premonitions - barely visible signs that portend human tragedies. Events hidden in our failing sight: in memories covered by time and in our spirituality. Folklore of a city immersed in the XXI century. Paradoxically, reminding of a reunion by candlelight and of the atmosphere characteristic of our ancestors' hut where life events were described in metaphysical terms. All in order to regain at least this little part that seemed to vanish due to our failing sight. 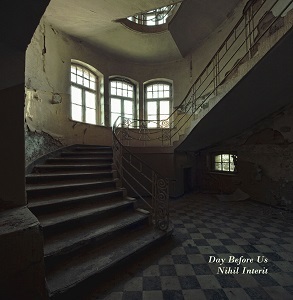 Day Before Us is an ethereal and dark ambient music act formed by Philippe Blache and whose trajectory has involved working across lyrical sound poetry and scores for art events as well as film experiments. The project is notably recognized for its releases published by Rage in Eden, Twilight Records and Opn Records. 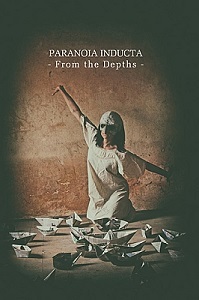 The emotional content of this new album emphasizes moments of blurry sadness, intimacy, sacrality and evocativeness while the stylistical shape carries on a musical dynamic between atmospheric sound minimalism, brightly devotional then classical singing qualities, orchestrally cinematic harmonies and brooding tones.